Going natural in your yard is worth it to give your yard a life free of toxic and harmful chemicals. Not only do you limit your children’s exposure to these chemicals when they’re in the yard, but you also don’t track the chemicals indoors on your feet or let them blow in through the windows. Just realize that it may take seasons rather than days to eliminate weeds, for example. Dethatching prevents lawn problems naturally. Use natural or organic herbicide alternatives for killing weeds. Some new products available at garden centers are vinegar-based, for example. 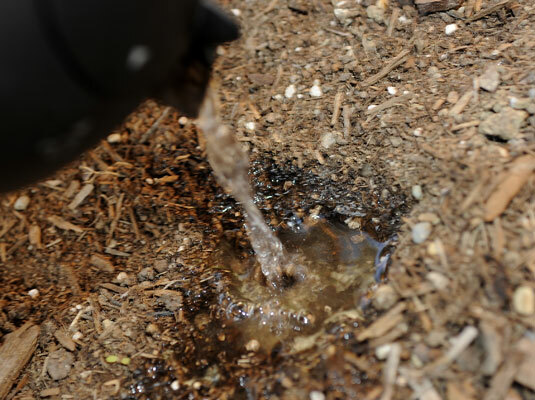 In addition, using a hoe to break up the dirt area around plants stimulates the growth of plants, reduces water loss from the soil surface, and removes weeds that take up valuable water and nutrients. Use natural fertilizers such as compost, bone meal, and blood meal, all of which are available at garden centers. Pour boiling water on ant nests, or buy sticky strips (similar to flypaper) to capture them. Get rid of ants quickly with boiling water. Attract wildlife that feasts on pesky bugs. For example, put in plants that attract birds and ladybugs. You can also use this biocontrol approach by purchasing beneficial insects such as ladybugs at garden centers or through the mail and releasing them in your garden. When the soil is damp, use a digging tool to remove the whole roots of weeds; then fill in the hole, and sprinkle corn-gluten meal (available at garden centers) around it to suppress stray seeds. 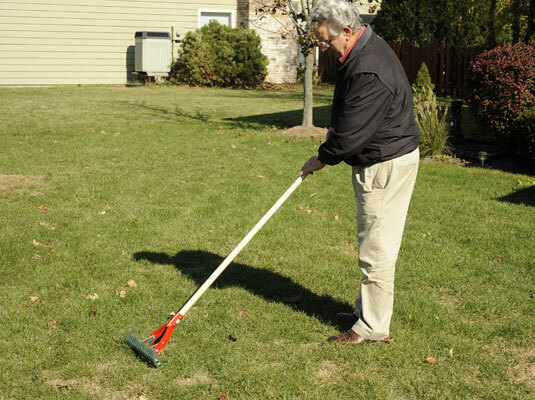 Remove annual weeds with a hoe when they’re small, and spread mulch around trees and shrubs to suffocate any remaining weeds. Pick insects off plants using your finger and thumb, wash them off with a garden hose, or use organic insecticidal soaps (with care). Attract and trap slugs on the bottom of a piece of wood or in empty grapefruit shells or beer-filled plastic tubs. Shake bushes or branches vigorously to dislodge caterpillars onto a surface such as a plastic or canvas tarp; then dispose of the caterpillars in the trash.